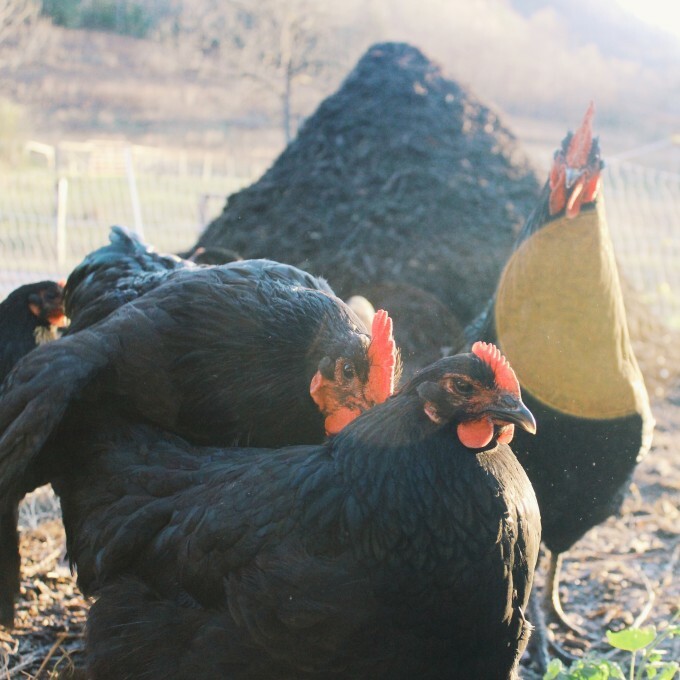 If you’re interested in saving money on chickens, improving the production of your flock, and becoming 100% self-sustainable then I’d love to show you how it’s done in five stages. At the end of the article I’ll be offering a free PDF checklist for those who are ready to get started now. Several years ago I set my first hen. For those of you that might not know what that means, I put some fertilized eggs under a broody hen in hopes that they would hatch. As day 21 approached, I became doubtful. Surely, I wouldn’t succeed on my first try. One of my hens with her chicks. With doubts of success abounding, I went and checked for rotten eggs. I reached under the faithful hen and felt a small vibration, then I heard slight chirping. Despite my inexperience, nature found a way. I realized that all we have to do is provide a little management to serve our purposes, and the chickens will do the rest. As I get more serious about reproducing my flock, I’ve tapped the mind of a master in poultry breeding, Jim Adkins of the Sustainable Poultry Network. Let’s dive into my interview with Jim and the 5 stages to a 100% sustainable flock. You become truly sustainable and you’re not dependent on any outside sources for reproduction. Shipping chicks in the mail is incredibly stressful for the birds. Hatcheries produce for quantity, not quality. They do not selectively breed. Hatcheries don’t rule out aggressive traits. If I can’t breed my own what should I do? Locate a reputable breeder near you. I had great success with the Sustainable Poultry Network as I found an outstanding breeder only 30 minutes away. Another option might be the Livestock Conservancy. If you don’t have any luck finding anything with those organizations, there’s always Craigslist, but be sure to check out breeder’s operation. 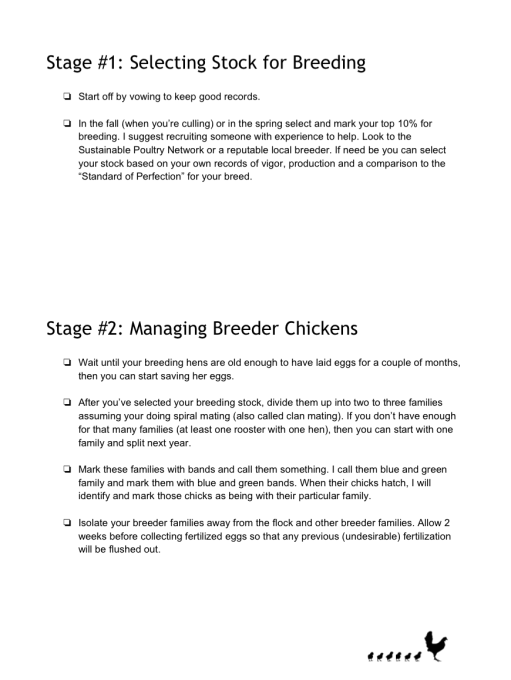 I’ve had great success with my flock from a local breeder in the Sustainable Poultry Network. Breeding is easy, it’s the selection process that’s hard. We can watch videos, and we can read about it in print, but nothing beats hands-on instructions from someone with experience. Poor record keeping is the number one mistake newbies make. It’s critical to know which birds mated with which birds otherwise you’re just flop breeding. The much better option would be to use selective breeding. Pedigree is another selective breeding option where you use one male and one female to improve on a single trait found in both birds. Flop breeding will decline the quality of your flock. How many should I choose for breeding? The top 10% to 20%. If you have a flock of 30, you’ll select your top 3 to 6 hens and your top rooster. What about small flocks (like six birds)? Then use one male to breed all of them, then be more selective the progeny. Quality #1: Vigor and Vitality are your absolute most important quality. If your birds aren’t well adapted, then they won’t be good producers. To measure vigor and vitality look for birds that are active, eat well, have mating interest, forage well, are protective, but (not too aggressive), healthy, get up early and roost late at night. All of these attributes must be observed and recorded. Quality #2: Production Quality – This is the chickens ability to produce meat and eggs. To measure egg production, you can use frequent observation (with record keeping), incorporate trap nests and do an exam of each bird. A good overall appearance – Bright eyes and a wide, deep body. Comb and wattles will be red and full, not sagging. The distance between the protrusion bones – These are located on either side of the abdomen. You can measure them with your hand. Know that the wider the bones, the more likely it is she’ll be a good layer. Expect a width of about three fingers in average-sized breeds. Measure the distance between the protrusion bones with your fingers. Locate these two protruding bones at the bottom of the abdomen towards the vent. Feel around until you find them. Once you do, it’s undeniable. Most breeds will measure 3 fingers wide. The wider the distance, the more likely she’ll be a good layer. The distance between the breastbone and the vent – This can also be measured with your hand and is usually about four fingers wide. The wider, the better. Measure the distance between the breastbone and the vent with your fingers. The breastbone will be pointy and in the center. The wider the distance, the more likely she’ll be a good layer. Skin, beak and legs should lose some of their color (pigment) as these resources go into egg production. Although all birds loose color, it’s much more noticeable in yellow-skinned breeds. Notice the obvious discoloration in this leg. She’s likely producing a fair amount of eggs. Black chickens loose pigmentation as well, but it’s much harder to tell. The vent should be moist in appearance. Weigh each bird at eight and sixteen weeks old, consistently through the generations. Look for your quickest and heaviest growers. 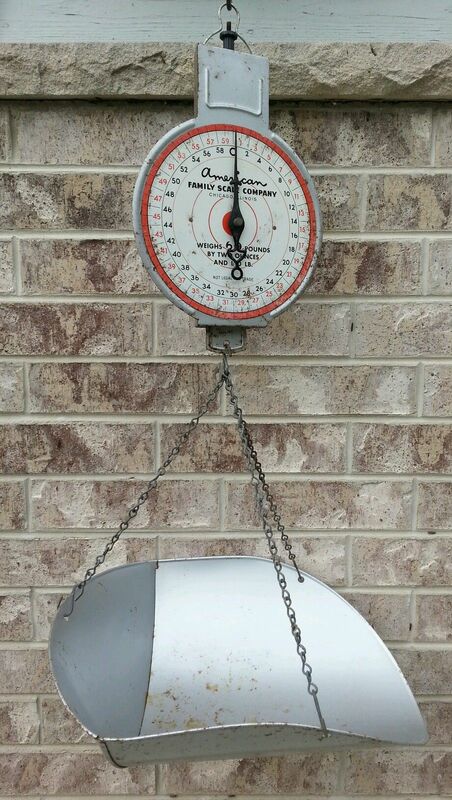 Hanging scoop scales work great for this purpose. I got this vintage hanging scoop scale off of Ebay as it was less expensive than a new one. Quality #3: Standard Quality, which is meeting the standard of your particular breed found in the “American Standard of Perfection” <<< affiliate link. Abiding by the standard will take you a long way in restoring and maintaining what our chickens were originally bred for. How should I mark flocks and individuals? You can use plastic bands to mark for individuals and toe punches for marking entire flocks. How old should a chicken be before I set her eggs? Wait until she’s laid for a couple of months then you can start setting her eggs. What breeding program do you recommend? There are many breeding programs like the Out and Out Breeding, Flock Sourcing, Flock Mating, Rolling Mating, but if I had to choose just one, it would be Spiral Mating (also called Clan Mating). I should note that this involves line breeding, but a closed flock can have amazing results. 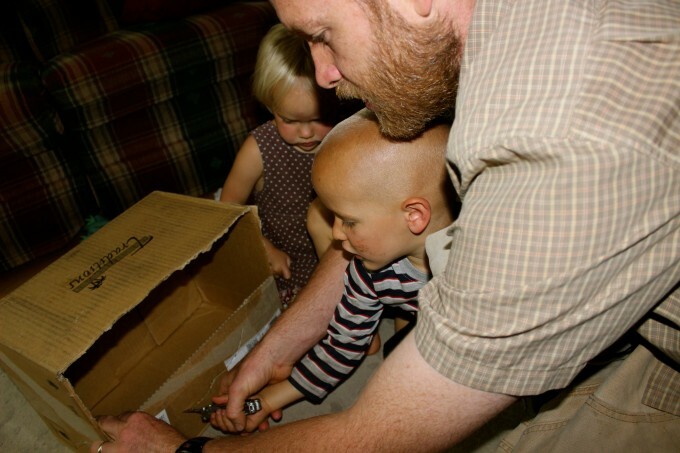 Breeding father and daughter chickens is ok, it’s breeding siblings that you want to avoid. For more info on these breeding programs check out this “Back Yard Poultry Mag” article here. A note from Justin: I’m personally going with Spiral Mating. As I only have a flock of 30, I don’t really have enough for three breeding flocks, so I’ll pick my two best roosters and six best hens and set apart two different breeding families. 2. Divide your breeding stock into two, or three (ideal) families. A family can be as small as one rooster and one hen. If you don’t have enough for two families then you can breed everyone and be more selective the next round. I’ve only got enough for two families, so I’m starting there. 3. Mark your families. I like to zip ties that are colored and numbered. Name each family to identify them with your mark. I’ll be calling my two families, the Blue and Green families and I will place the appropriately colored band on each family. 4. Separate your breeding families from the flock and the other breeding families. 5. Mark your chicks according to the family they were born in. You can’t place leg bands on chicks, but you could do a toe punch to identify them as a group. Once they’re older you can do leg bands. The leg bands come in handy for quick reference and if the leg bands are numbered they’re great for identifying individuals. 6. Once breeding is over you can return everyone to the main flock or wherever desired. 7. The following season you’ll breed roosters of one family to the hens of the “next” family over. In my case, I’ll breed my blue rooster with my green hens and vice versa. 8. Use your roosters once or twice and then cull. How do you separate breeders? Simply separate them into another complete system with a house, run, feed, water, etc. Set up a complete accommodation separate from the rest of your flock. How long should I keep breeders together? Keep the breeders together until you’ve gotten the desired amount of fertilized eggs. Once your breeding stock is separated from the main flock, you’ll want to give them about ten days together before you start saving eggs for setting, as the roosters fertilization stays viable up to two weeks. As the days pass, any undesired breeding fertilization wears off, and you’ll soon be sure that your selected stock genetics is what will pass on to the eggs. Start collecting fertilized eggs. Keep in mind how many chicks you want to hatch, how many a broody hen can sit on, and how many broody hens you’ll think you’ll have. If you’re incubating, you don’t have to consider mother hen, but in this article, I’ll be addressing the issue using a mother hen. Save eight eggs per broody hen. For my flock of 30 Australorps, I can expect two to three to go broody. You want to be careful not to place too many under a broody hen as she can only adequately heat what she can cover. You might be tempted to set extra eggs just in case of failure, but that will increase your chances of failure. Since the mama hens constantly move the eggs around underneath her (rotating them from center to the edges), the large number of eggs would all end up being too cool. Only save the cleanest eggs while avoided the large and small extremes. Store your eggs in an egg carton clearly marked for the breeding family. 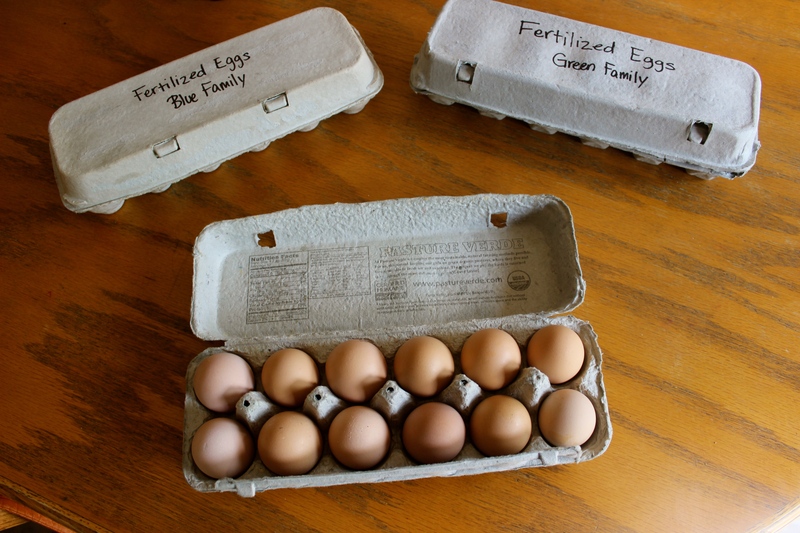 Once you get more than twelve, you can begin rotating out the older eggs and replacing with the newer ones. Store the fertilized eggs at room temperature and don’t wash.
Store your fertilized eggs at room temperature and rotate out the old eggs for new ones. Now that you have a consistent flow of desirable fertile eggs, you’ll have to wait for a broody hen. What I mean by a broody hen is a hen that is naturally ready to sit on some eggs. The broody hen will be the one that sits on the eggs until they hatch. 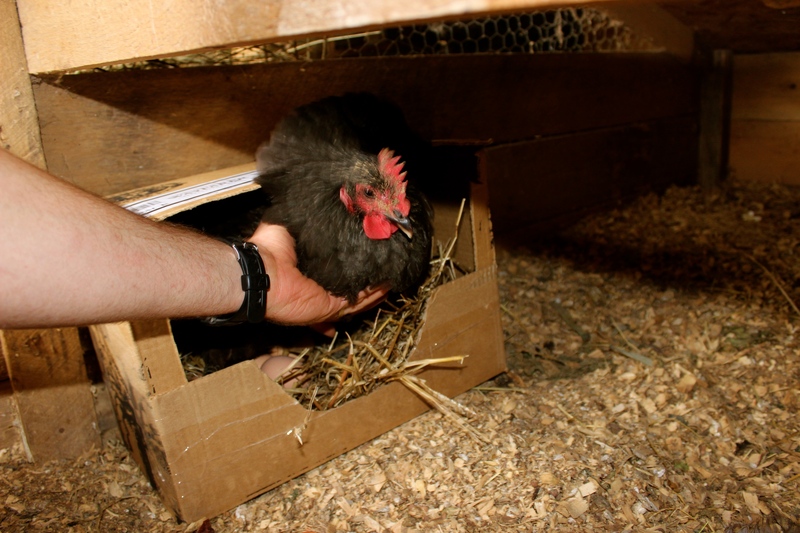 Note that it’s not necessary that the breeder hen (biological mother) sit on the eggs. Our broody hen will happily accept anything that hatches underneath her (including other similar species like duck or geese). Broodiness has been bred out of many lines as it’s seen as a less desirable trait for egg production. (She won’t lay eggs while she’s broody.) This is yet another reason to go with old standard breeds like Australorps or Orpingtons who are still naturally broody. A broody hen will remain on the nest most of the time. Set up an area that offers separation from the rest of the flock (this could be as simple as wire mesh partition). This can be an area built among your existing operation or in a separate location. I use and old homemade brooder box located in my garage. 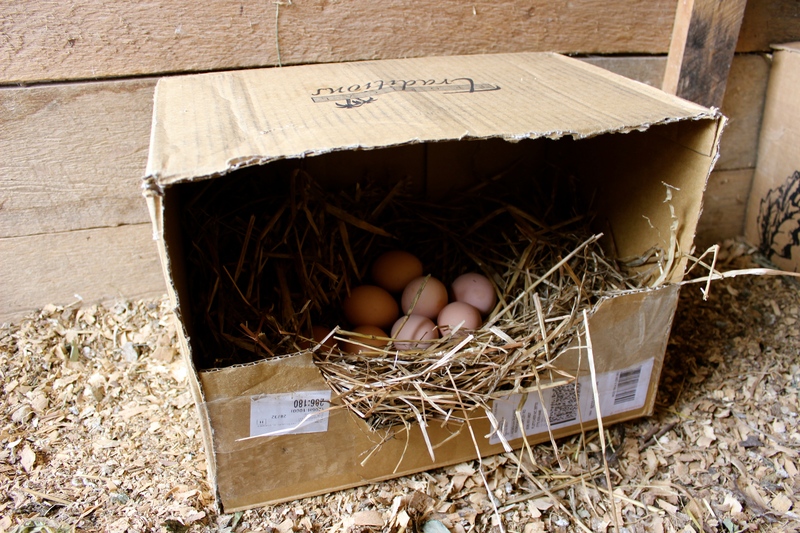 Add fake eggs to the nesting box for when you transfer the broody hen. Add a small waterer and feeder. Make sure she has an area to relieve herself. Deep bedding or wire mesh floors will work. If you’re using a wire mesh floor suspended over the ground, make sure it’s off the ground and push the manures through on a regular basis. 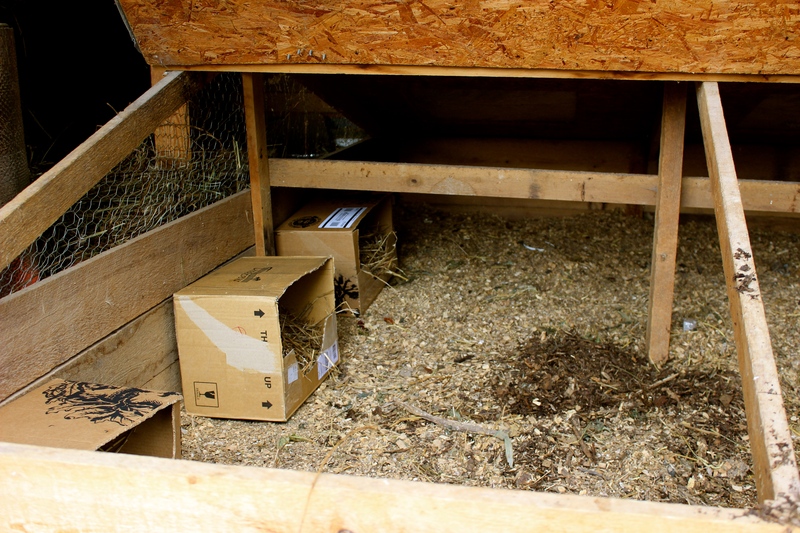 I converted an old brooder box (for chicks) to a broody box for hens. Now that we’re set up, let’s get a broody hen. Hopefully, you have a breed that will go broody. Avoiding hatchery birds and strive for traditional breeds like the Black Australorps, New Hampshire or Orpingtons, to name a few. 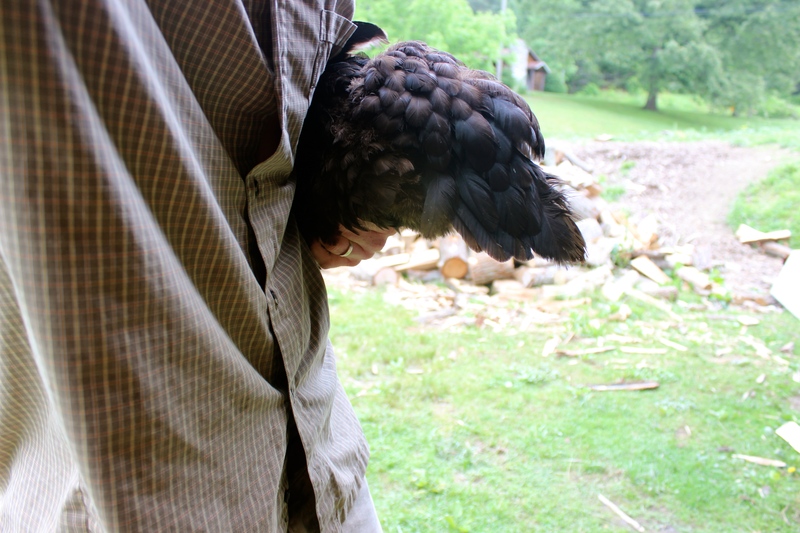 One of my readers reports, “I have had the best luck with Banty hens as far as being broody”. Leave a fake egg (or several) in the nest at all times. Having something to sit on that resembles an egg could encourage her to go broody. Make sure your nesting area is “secluded” and dark. The chickens need to feel their nesting area is a “safe” place from predators. Keep the nesting boxes clean and free of mites or other annoying insects. Anything “egg-like” will work great as fake eggs to encourage brooding. Golf ball also work great. The hen puffs up, pecks you or is overly aggravated when you reach towards here or collect eggs from underneath her. The sure fire way to know is if she stays on the nest through the night and doesn’t perch. These two broody hens refuse to leave the nest except to eat and relieve themselves. Now that you’re set up for the broody mama, you’ve got your fertilized eggs, and you’ve got a broody hen, it’s time to set her on the eggs. Remove the broody hen at night when she’s tranquil and will be most disoriented from the move. Place the broody hen in her broody station inside of her nesting box directly on the fake eggs. If she acts like she’s ready to jump, gently hold her down a few seconds. If she continues to want to jump after you release your hand turn her nesting box around again the wall so that she can’t get out, then turn her around in the morning. Leave her in the broody station on the fake eggs for a day. If she stops being broody, then it’s not meant to be. If she’s continually broody, then place your fertilized eggs underneath her. I set eight, and wouldn’t suggest any more than that for a beginner. You can set as much as she can adequately cover, so it does vary by breed and size of the individual. (Be careful not to push this thinking; it’s ok if a few don’t hatch.) The mama will equally rotate every egg from the center to the edges. If she’s got too many, chances are they will all be too cool. You can keep her brooder without fertilized eggs for at least a couple of weeks. Believe it or not, she’ll happily sit there until she gets her eggs, plus the three weeks it takes to hatch the eggs. Mark your calendar 20 days out. Most of the time, they’ll hatch within 21 days, but it can take longer. Make sure you check her feed and water daily. She won’t eat or drink much and will lose as much as ⅓ of her body weight. Clean out any poop throughout the process. Don’t be alarmed if her poops are rare, massive, smelly, or diarrhea. About ten days in, check the eggs for viability (if desired). Working at night, you can “candle” the eggs to see if there’s life. You’ll pull out the infertile eggs as they are rotting and could crush or even explode, creating a smell and attracting harmful bacteria that could penetrate the other eggs. To “candle,” get a strong flashlight and hold the egg directly on the lamp. If you see veins in the eggs, it’s doing well. If you see a solid lump, it’s no good. If they all seem to be bad, you should leave them be as you might not be candleling right. On day 20 you can do another check for viability. This time holding each egg to your ear and gently flicking it. You’re likely to hear a chirp inside. Once the 1st chick begins to hatch, it can take up to 3 days for all them to hatch, but I’ve never seen it go longer than 12 hours. The mama will instinctively lay there until they’ve all hatched. If she get up and there are still whole eggs, they’re bad. Resist the temptation to assist a struggling chick trying to get out of its shell. As harsh as this sounds, it’s a very strong indication of weakness and will more than likely remain weak and sickly. Enjoy watching the mama shelter and feed her chicks. 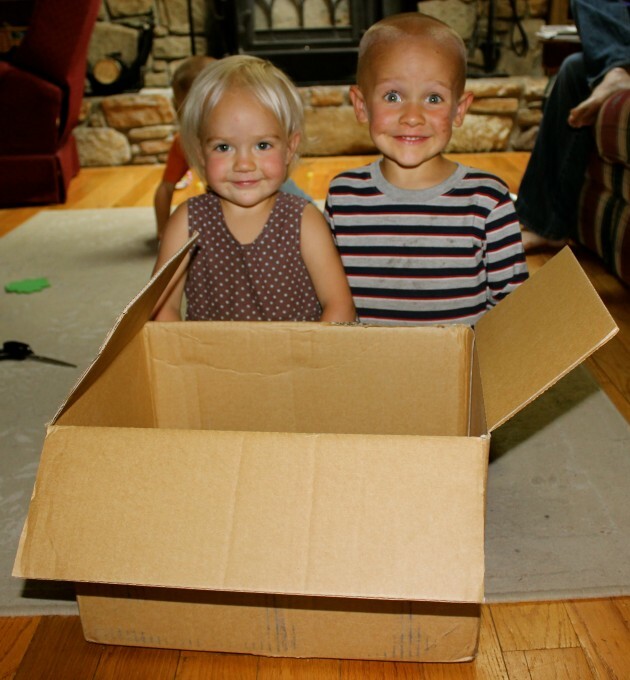 Get a box and some helpers (if you have them!). Cut and tape the box to have an entrance. 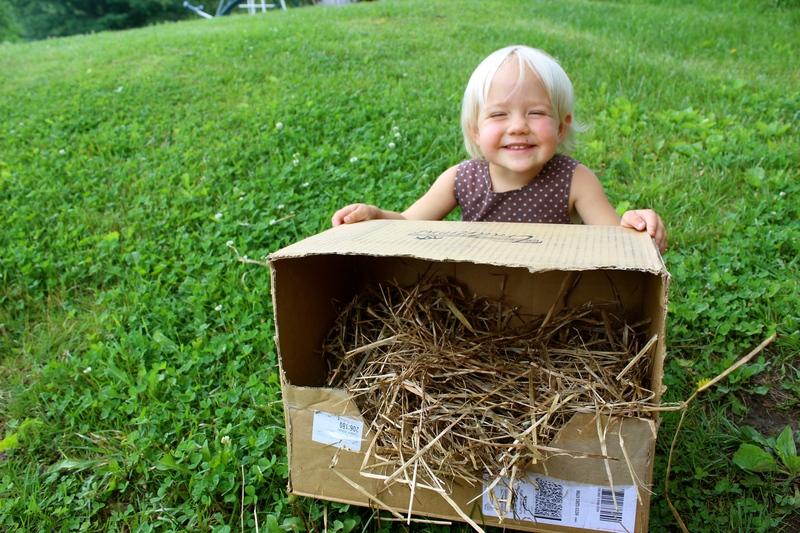 Fill the box with straw. 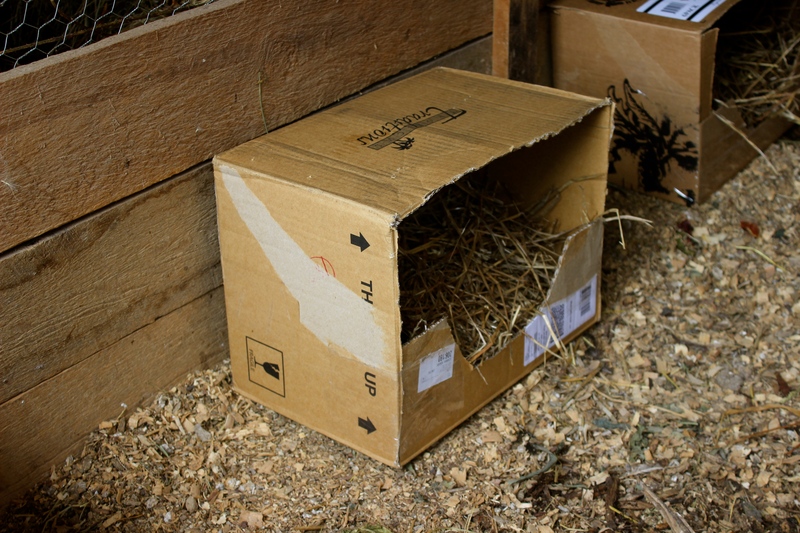 Place the box in the broody station. I converted a chick brooder box to a hen brooder box. Put in your fertilized eggs if you dare. You might prefer to place fake eggs until your sure your hen didn’t loose her broodiness in the transport. 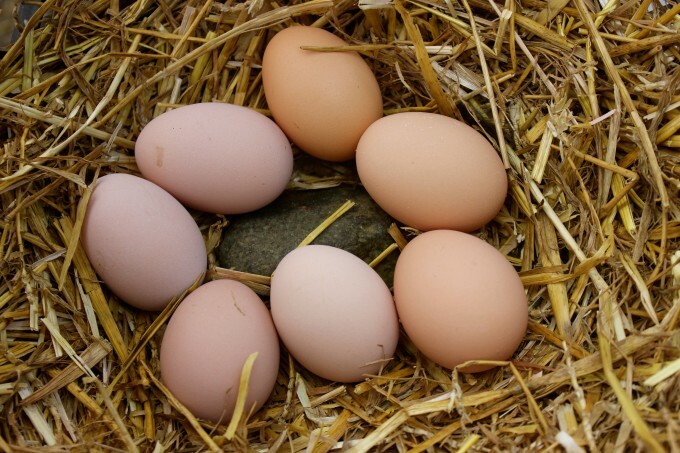 If you have a broody hen, but don’t have fertilized eggs yet, go ahead and set your broody on some fake eggs. She will faithfully sit on her “clutch” for weeks on end (until the hatch). Once you have fertilized eggs you can place them under her (at night). Move your broody hen. I was feeling bold and moved her during the day. 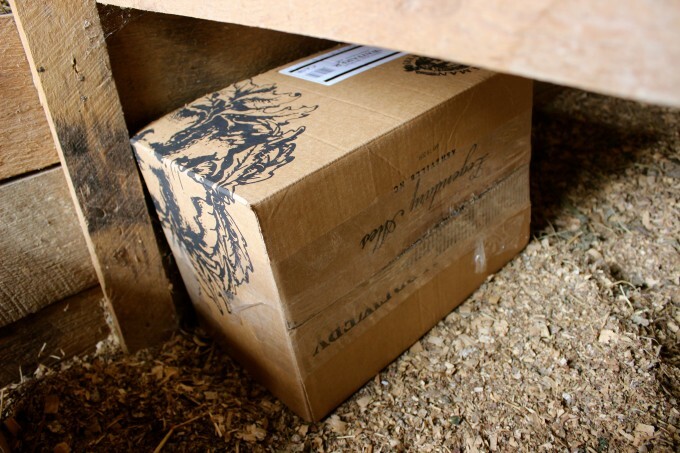 You can increase your chances of the hens staying broody if you move her at night when she’s disoriented. Place your hen in the box. Hold her down until she settles down. If you’re concerned she’ll “jump ship” turn her nesting box around to face the wall for the evening. She’ll more than likely settle. Don’t forget to turn her box around in the morning. She’ll get up every once in a while to relieve herself, eat and drink. If you don’t have fertile eggs, but you’ve got broody hens, you can acquire fertile eggs from a local breeder or online. 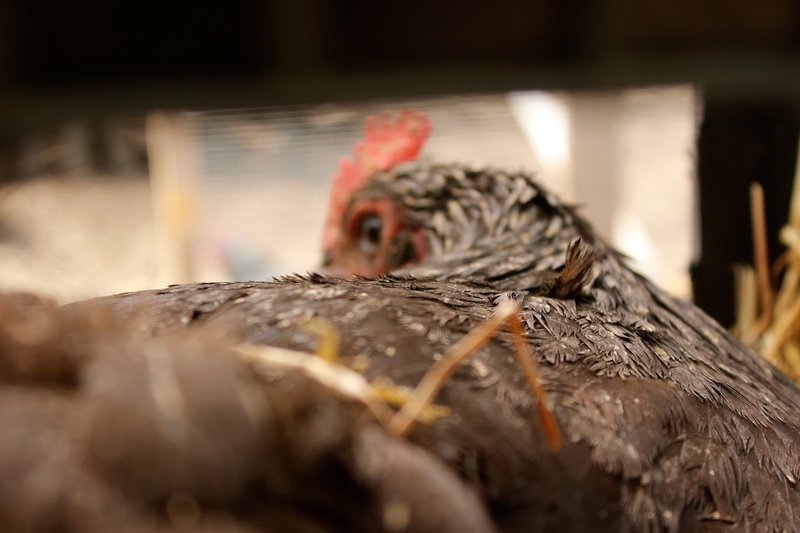 If you don’t have broody hens, but you have fertile eggs, consider buying a few hens known for their broodiness. 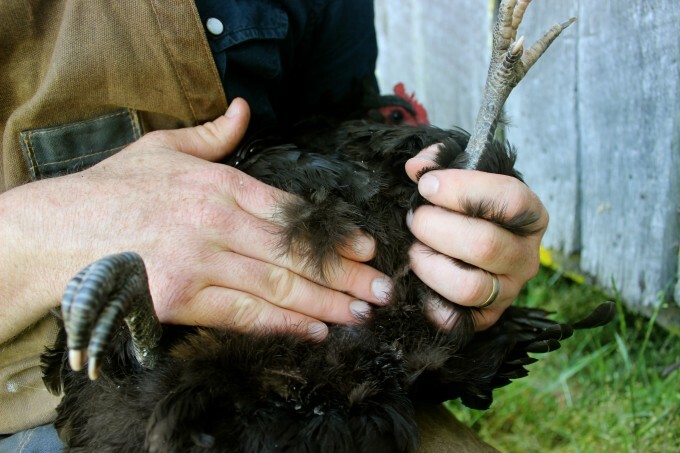 Silkies would be interesting, and there are always classic homestead breeds like Buff Orpingtons or Black Australorps. 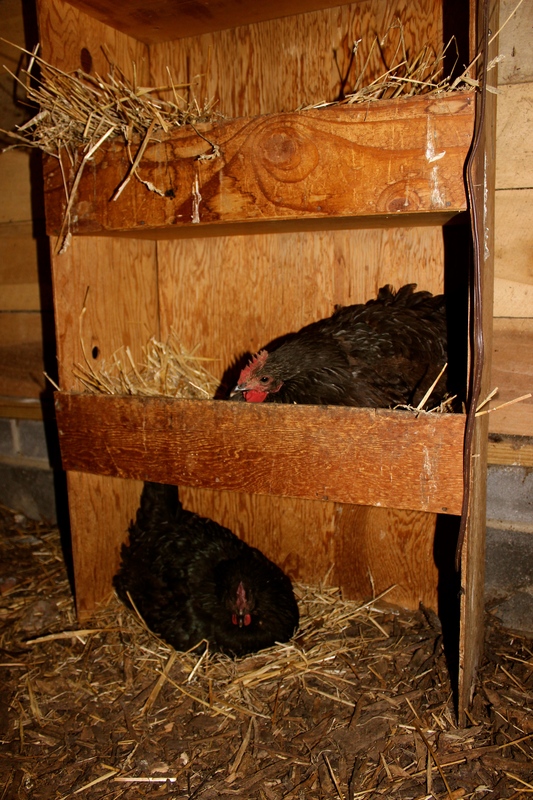 If your hen is truly broody and she’s sat for several days, you could place some live chicks directly underneath her. Chances are she will assume she hatched them, and she’ll gladly adopt them. I once set a mama on eight eggs. Seven of them hatched, and one failed. I got a call from my local breeder who had four extra chicks she needed to get rid off. I happily took them and set them under this new mama, and she happily adopted them. I even set them under her a day after the other ones hatched. Check out my Youtube Channel where I vlog everyday about our happy family homesteading adventures. I like to move the new mama and chicks out as soon as they’ve all hatched. It’s amazing to watch Mama hunt for food, break it down for the chicks, and periodically shelter them. You can keep them in their broody station if necessary, but you’ll need to make an effort to bring live foods to them since they can’t source it themselves. You can prep the food by chopping them or enjoy watching Mama hen do it for them. Be sure not to feed adult pre-mixes as they contain calcium that will harm the chicks. Take note that the Mama hen won’t need calcium either as she’s not producing any eggs. 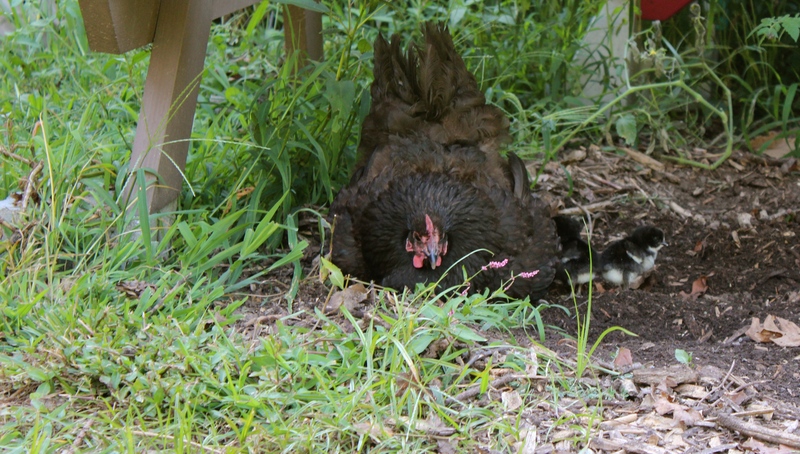 You can put mama and chicks out to free-range (depending on your predator problem). I can’t let the little ones run free as hawks will get them despite Mom’s best efforts. 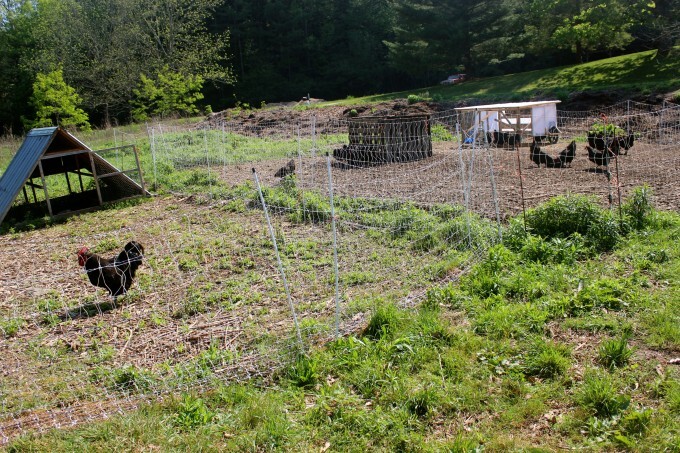 I run my new family in a pastured poultry pen, but you could certainly use any chicken tractor or system with a cover. One year, I ran a new mama and chicks with the main flock and didn’t have any problems with the other flock members. However, the little ones were able to escape the electric net and the mama hen wasn’t. This made them especially vulnerable to predators. Breeding your flock can be tricky at first, but is ultimately very rewarding. In the end, nature does all the work, we’re just facilitating the process to our advantage. 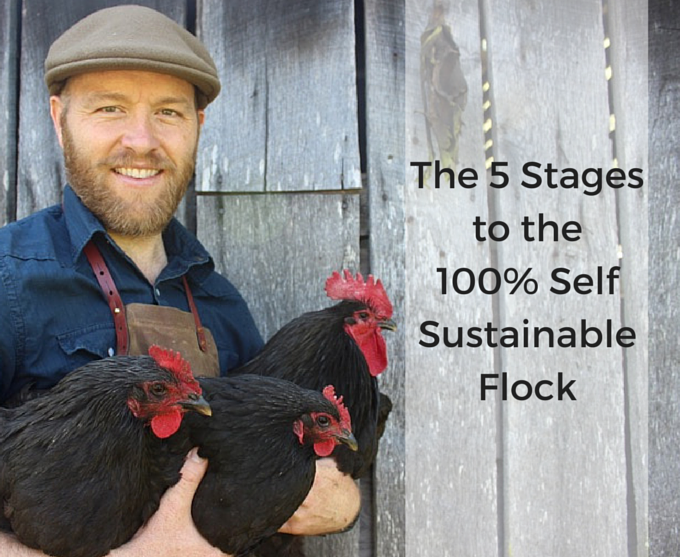 I’ve created a printable PDF checklist of the five stages to 100% sustainable flock. when you sign up for my emailing newsletter.